Many people think asbestos is something that happened in the 1950s, 1960s or 1970s. 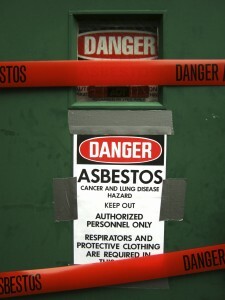 The truth is that asbestos continues to be a significant health problem and people continue to be exposed to it daily. Every year thousands of people are still diagnosed with asbestos cancers and illnesses. Asbestos exposure from cosmetics, Johnson & Johnson talc, schools and buildings are just a few recent examples. April 1-7 is Global Asbestos Awareness Week and the goal is to eliminate asbestos being sold and used. For over 40 years, our firm has been representing victims and their families affected by asbestos exposure. We were the first Florida firm to go to trial and fight to get a verdict for a victim of asbestos exposure. Our Asbestos Team continues to fight the evils of asbestos today. We represent victims of personal injury and wrongful death as they seek justice, and many of the lawsuits we have pursued have resulted in safety changes. Sadly, many of those changes came after someone was injured. It’s why when our Asbestos Team hears about reports of asbestos contamination we believe it is vital to publish warnings and recall information about the danger of asbestos in products.